Effective Branding and Marketing starts with Logo. 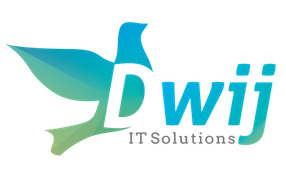 We at Dwij IT Solutions try our best to satisfy our customer by Spectacular Logo Designs for their upcoming Brand. We aim to create brand for our customers that are consistent with their name and communicate clear and concise, loyal to it’s personality and faithful to it’s tone of appearance. We are Fastest way to design your custom-made business Logos, as a creative design firm based in Pune – We have helped many companies both small and big to develop, maintain their brands as a Logo Design Company in India. As a logo design company and designer artist, we fuss over every colours, every detail, and every minute details of your logo. We are well known for our innovative designs which enable charismatic user experience and we creatively focus on providing dynamic web appearance. A logo is the brand identity of any organisation and needs to effectively convey the company’s philosophy and Vision. The logo graphics are created after consulting the customer and carrying out a detailed discussion over the colour scheme, its orientation, the images and text combinations, and most importantly your vision.